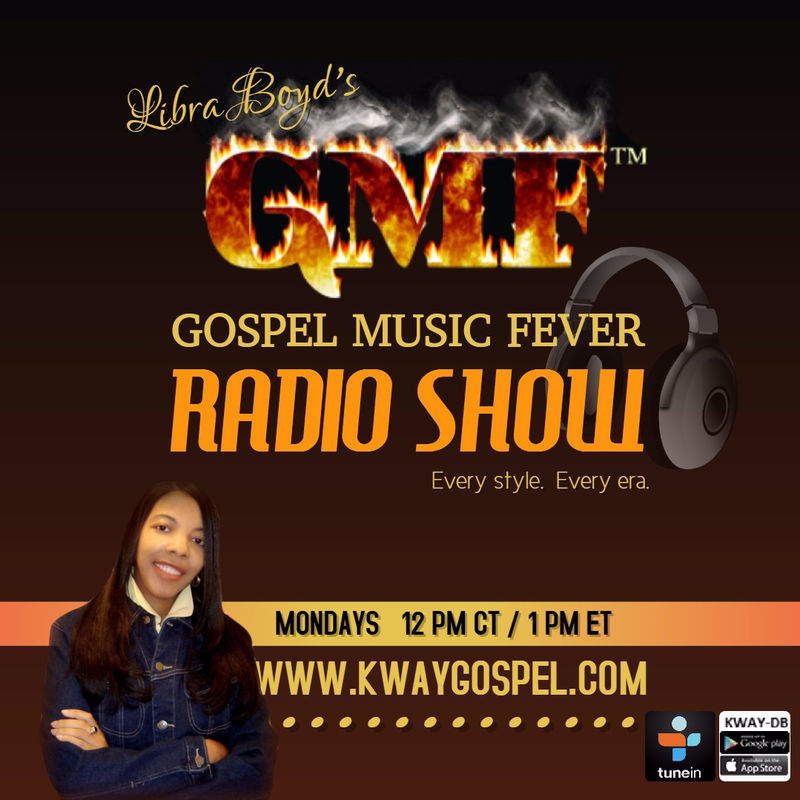 GMF founder and editor Libra Boyd spoke with Lee Williams this weekend. Gospel's iceman was prepping to greet fans, perform a concert later that evening, and promote the Spiritual QCs' new CD, Living on the Lord's Side. Followers of his ministry can't get enough of Williams and his group's soul-drenched gospel. It's only natural that fans have become concerned by the ongoing questions surrounding his health. GMF wanted to hear straight from the source if he plans to call it quits with the QC's anytime soon. "That's not my choice," offers the debonair frontman of few words. "That's not up to me; that's up to God." While the decision does not rest with him, he adds that he intends to sing for as long as God allows him and the group to carry the much needed message of hope and encouragement. And all the rumors about his health? "If I had a nickel for every time someone has asked me that," he asserts, "I wouldn't have to sing anymore; I'd be a rich man." Pointing to heaven, he maintains, "That's not up to me either. Like I said, as long as He lets me..."
Williams wants his supporters to know that he genuinely appreciates their concern and prayers, and he looks forward to coming their way to have a "good time." From first hearing of his health problems, I prayed for him and now decree that this attack of the enemy will be broken and he is healed in JESUS Name. AMEN! I stand in agreements with you. In Jesus' name. God bless Lee Williams to a speedy recovery!! God has the final say so and it's not over until God says so...we love Lee, but God loves him more and still have more for him to do...much love to Lee Williams. I love you lee williams. If you only knew how your music has touched my life. You are mh absolute favorite gospel singer. Be blessed man of God. I love you Lee Williams, and me and my family are going to stand in agreement concerning your health. We are going to stand on the word. That he was bruised for our iniquities, he was wounded for our transgressions and by his stripes you are healed. Me and my family are praying for divine healing for you because we love you. All is well Bro. Lee Williams! You are in the Mighty Hands of the Lord Jesus! The only music I play is yours. I finally met you for the first time at your show in Memphis on 2-21-14. You are such a humble man of God! Grateful to have met you! I am praying for you and yours. Love you. God bless you. I agree He is Truly a Humble Man with a Great gift. God bless you Lee Williams. You are a gift from GOD. The music you sing is what the people need to hear today. You are truly annionted by GOD. The world needs to hear more music like this instead of all that hip hop mess. Your music has uplifted me and brought me through some rough times. I praise that GOD continue to heal and bless you. I hope you come to Norfolk, VA soon. I love you Lee. I love you and your music so much, may God's healing hand comfort you to a full recovery. we love your music please come to Alabama soon . Much love. Only gospel singer I listen to. You're in my prayers. I speak a prayer of healing over your life Lee Williams, and delcare and receive it in Jesus' name that you ARE healed. God is good and good is God. Stay blessed. TAKE YOUR REST LEE. SETTLE DOWN. THE ROAD LIFE WILL BEAT YOU DOWN. Being able to travel and share the word of God in song is great. a man should never need to rest from giving God's word. once you choose that profession, you are in it till the end of the race and at the end, he will give rest. BE OF GOOD COURAGE WITH THE BELIEVTH TO KNOW THAT GOD IS ABLE TO DO ALL THINGS HE IS A MIGHTY GOD AND HE IS A HEALER AND A DELIVER.WE ALL ARE GOING THROUGH SOME TYPE OF SUFFERING,AND GOD WILL BRING YOU THROUGH WE LOVE YOU. God Bless you always Lee Williams may God bless you always you are a beautiful and loving man of God. Anonymous, from Suffolk Va. will continue to keep you in my prayers looking and hoping you will be coming to the tidewater area soon, I just love your singing, wishing you and your group many blessing. Lee Williams thank you so much for your beautiful gospel songs you have truly blessed many people through your gospel songs. God Bless you always!!! i am a new fan of lee williams. i love his songs and i love his style. he sure gets his message across. I love all that he has sung. I have been loving him for the first time I heard him sing. He his truly one of God's angel. Mr. Lee Williams, I have been listening you & the QC's music for many years, over & over. I finally happen to be in Houston, TX and was able to see you face to face & your concert. I found you to be as humble, quite spirit not a man of many words, BUT serious about what God gift that he blessed you with. I did not know that you were sick, but know that I am praying for you & your family. The God I know is a healer, just trust and believe as I am for you at this moment..."jus me"
Lee Williams, you and your group do what God gifted and told you to do. You are only HUMAN, man. You have kept your bargain with God, so listen to God and do what God says. Thank you all for your music and wisdom. I'm about your age, and I have dementia, but I can't give up either. Hold on!!! All of your songs have wisdom and faith, and a place in our lives. Thank you all. Mr. Lee Williams, I had a serious talk with Jesus today and asked him to "Restore Your Health " and bring you back to the stage, where he BLESSED you to be. I also asked him to do it real soon. Because, I need to witness first hand during a concert of yours just how ANOINTED and BLESS you truly are. God replied, daughter your prayer will be answered. Therefore, Mr. Williams I'm looking very much forward to my first Lee Williams CONCERT. He and the group are going strong! I love LEE Williams, and the songs really encourage me to keep pressing on because God is not through with me yet.God bless the family also. Hi, I'm Iris from Georgia. I first met Mr Lee in Rome Ga. I am Qeen Lee. Love this man songs and his group QC,s. "I CANT GIVE UP NOW". " IM RUNNING". are my testimonies. My family is a great big fan. Mr Lee I pray for you daily amen. God is able to do all things. God bless u MOG. I love Lee Williams, may God continue to bless you with His healing power, your family and the QC's. Really enjoy your songs! KEEP ON KEEPING ON!!! Mr. Lee Williams and the QC's, may God forever Bless you and the QC's Family. It sadden my heart to see Lee perform that way. God has all power in his hands. May God keep you and Bless you. Will Keep You Before The Lord In Prayer And There's Nothing Too Hard For Our God God Bless You! Thank you Lee Williams for your great music. Take your rest for you owe the world nothing. Remember, "life is but a dream". May God bless you and give you strength in this time of need. Lee you have a special place in my heart you and your group have brought me many hours of spiritual yuplifting when I needed it. 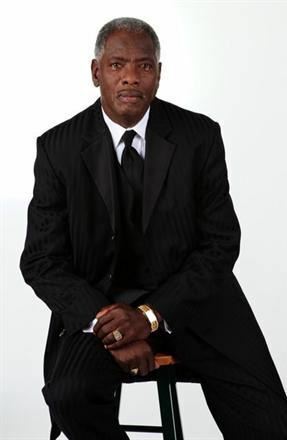 May the Lord bring you back to good health and blessings to you, your family and the families of the QC;s.
MY FAMILY LOVE LEE WILLIAMS. MY MOTHER IS 73 YEARS YOUNG AND SHE HAS REQUESTED WE MUST PLAY YOUR MUSIC AT HER FUNERAL. GOD IS FAITHFUL AND HE WILL TAKE CARE OF YOU MR. WILLIAMS. WE PRAY THE BLOOD OF JESUS COVER YOU AND WILL ALLOW YOU TO CONTINUE TO BLESS US WITH YOUR MINISTRY OF MUSIC. I hope God bless you to continue...I love every song you have done. I love Lee Williams and the Spiritual Qcs. I was so sad seeing Lee Williams in Freeport, NY. You never know when I demetria will hit you. Just hearing his voice is a Blessing. I Love Lee Williams music from the first time I heard it, I am praying for him. Mr. Williams, I love any song that you sing and come out of your mouth. You have a master piece of a voice and I love you like family. I have followed you from the beginning and I have every CD that you and the Q C's made. Your music is an inspiration to me and my grandson who is looking forward to seeing you one day. I was at your concert Saturday, April 23rd at Mt Calvary Church Baptist Church in Land ham, Maryland. I talked to two of the Q C's and they said you were in the Van I knew something was wrong when I went down stairs to talk to you and you wasn't there. I always look forward to taking pictures with you and chatting. My heart just throb when entered the church and Patrick and your son assisted you to get on and off the stage. However, there was nothing wrong with you voice when you sung. You have an amazing voice and God will see you through it all.I need not to tell you to keep trusting God, who is a healer because the words from your song tells me you are a true believer. and God will continue to bless you. I will continue to keep you uplifted in prayers and look forward to seeing you at the next concert. Hello!! I love all of your songs,especially "I Can't Give Up".I wish you can do a concert in Houston,Texas at the World Harvest Church.God Bless You. Please try and schedule a concert in Houston Texas soon. I just love all of your songs and my prayers are for you and your group. Keep up the good work. God definitely has you in his arms. Hope to see you soon!!!!!!!!! Hello Mr Williams,hope your health is better.One of my favorite songs ! !I Can'T Give Up!!! is moving to me.When i feel down I play that song to uplift me. I love Mr. Williams and his group. It make my day go easy. I sit at work with my earphones on. Songs are so powerful. Hello Mr Williams. Just love your music. God bless and strengthen you daily. Yes you continue to sing for the Glory of God. That will keep you going. It's when we sit down and have nothing to occupy your mind, that weakness will come in. To the QC's, if he feels up to it physically, let him sing; actually that is what is keeping him. Let him be exposed to people and places and other's conversations and especially music. God bless you Lee Williams, man of God. Love you. Mr.Lee Williams, I have followed you for many years, you have ministered to many through the words of your songs, I thank you Sr. God bless you now an forever. Hi. Mr. Lee Williams, I was sorry to here that you was ill. I hope this message fine you doing better, I have a small table and I listen to you all day and night. I just have to here your voice to sleep and wake up by. I'm praying for you and I hope to see you again in 2017, if it's God will we will have a Good Time.....Love you dearly, I look at my picture we took some years ago. To Mr. Lee Williams and the spirituals QCS keep on keeping on. I am a young black man who is saved by grace and have been a great fans of yours for many years. The devil cant get what God wont give him. You have been a total inspiration to me throughout all these years. I work at a very stressful job with a whole lot of racism going on but when I cant bear it sometime; I go to my computer and get on youtube and just listen to one or many of your songs and my strength to fight encourages me to go on a little while longer. I thank you for that. June 2017 I will be retiring from this job of 33 years and now I can lift my hands and say "Thank you Jesus, I made it." I pray for Mr. Williams and the spirituals QCs health and strength. Keep on singing because you're happy and free. Mr. Williams you are a truly in the army of God. You are truly a blessing stand on the word of God. Being an example of how to not give up. God has centered you around some great men of God in your group. I pray that whatever measure they use to be of assistance to you that God will bless the double. Keep up the great work God has already restore you. Trust in the LORD and depend on the HOLY GHOST. Thank you Jesus. I love your music and Anointed voice. Let GOD use you. Praying for Bro. Lee Williams and the QC's. May God's healing power cover him. Someone please find out if Bro. Williams has been called to preach the gospel of Jesus Christ. He has a word from on high for the land. Let's continue to financially support Lee Williams and the QCs by buying their music and paying to see them perform. When we bless them, they will bless us back. God's got Lee and the QCs. Money should flow for the commitment these men had given their lives to. "I'm just sayin". My family and I have been abundantly blessed because Mr. Lee Williams sings with the spirit of God, has such an humble and polite disposition, and has showered the world with God's praises through song. Surely God has blessings for Mr. Williams and the QCs waiting in glory. I'm so thankful to have met and heard him sing. Here's hoping we purchase instead of boot-legging Mr. Williams' wonderful works. You don't know me neither do I you; but we both know and believe in the Lord Jesus Christ and He is still performing miracles. What ever we the Children of God need; Our God got it! Tonight I, along with Wilkerson Missionary Baptist Church Family, Early Branch, SC are standing in the gap for you through the power prayer and love petitioning The God of Abraham, Isaac and Jacob, The Father of our Lord and Savior Jesus Christ to grant you Brother Lee Williams your miracle of healing this night August 28th,2017 @ 9:18 pm. Now believe it by faith and receive it in the name of Jesus Christ. Hi, Mr.Lee it was good to see you here in Macon, Ga. again this week,know I have been praying for you all, I see they are taking care of you, As usual we enjoyed your singing and would love to see you come back again soon.I was glad to here you sing "I can't give up now " you are Truely a Man of God. I play your music all the time. God Bless you All. Just today I got the chance to listen to your wonderful voice and your incredibly meaningful songs! You did big revolution to my soul! Love your love for LORD and honest I think you love Him dearly and respect Him with whole your soul, heart and your strong mind! Bravo! Mr. Williams I'm praying for you and the QC's. Speak God's word only, everyday. He's already made a way for all of his children, love to you all and God's blessings!!! I was introduced to Mr. Lee Williams about 6-8 months ago via Facebook.I found myself playing the post often. Then months later, I went on line to find him and his music. I couldn't stop listening to him because his singing and his person made my heart glad and his songs spoke to my soul. I then tried to find out as much information about him, and ran across a few posts that he had died. I was heart broken because it appeared that he had come to me in spirit around the same time it was stated that he had died. Well, I NOW feel that he has been brought back from the dead and he has risen to continue to praise God in this world because I heard on radio that Lee Williams and his group will be singing on April 22, 2018 at the Scripture Cathedral in MD. I will be there and I feel so blessed that God has given me this opportunity to see him in person because I sincerely know him in Spirit. THANK YOU FATHER!!! I'm glad you learned that those posts you ran across were false rumors. Ever so often, someone decides to spread this ugly lie. The fact is that almost every weekend you can find a supporter airing live videos of Lee and the group on social media. I'm happy to hear you'll be seeing the group live soon yourself! Your music has truly touched my life, no weapon formed against you shall prosper.. This is only an attack of the enemy..... God will always have your back no matter what. .. I love Lee William's and the Qc"s. I pray Lee gets well soon. You are definitely a child of God. I remember when I heard the group for the first time. I was at Bucks Chapel, a church in Maury City Tn.It has been right at 25 years or better. He was and still is AWESOME! !